If there is any residual bleeding or oozing, bite down on gauze pad placed directly on the implant site for 30 minutes. 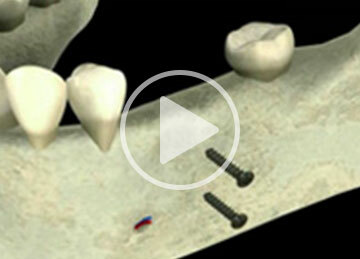 Swelling: Slight swelling is possible around the implant site and can be expected. An ice bag applied directly to the cheek 3-4 times a day can help to minimize swelling during the first 36 hours. Pain: A pain medication will be prescribed to you, and it is important to follow the directions of your prescription. For moderate pain the following can help: Antibiotics: these are usually prescribed. Be sure and to take the full course of antibiotics as prescribed. Ibuprofen (Advil or Motrin) 200 mg tablets taken 2-3 times a day may also be taken.